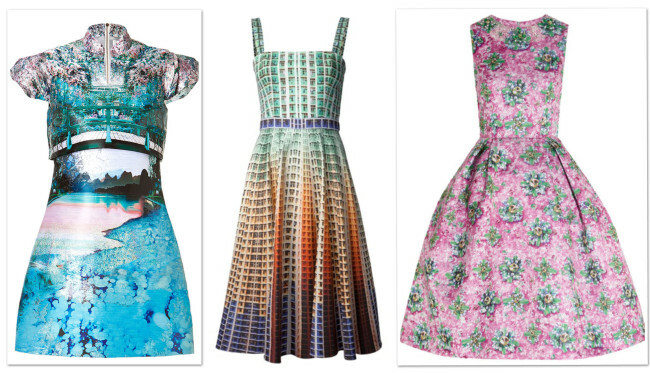 Designer Mary Katrantzou has exploded on the scene in the last few years with a look so unique and compelling that you immediately know a piece from her collection. Or really we should say “work of art.” Her stunning, realistic digital prints that take on average four days to make are bound to be collector’s items. 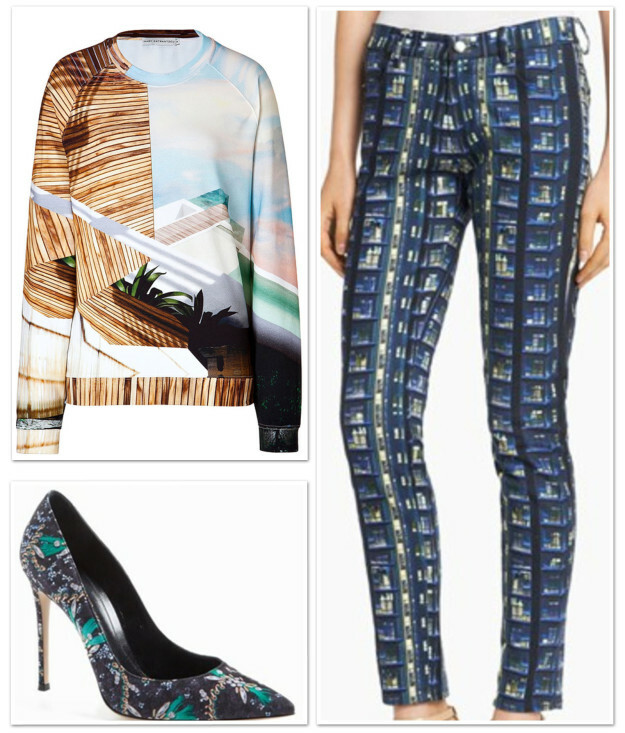 Celebrities and celebutantes alike covet her designs, and anyone wearing one of her vivid prints will without question stand out in a crowd. Born in Athens, Greece in 1983, Mary was working on her BA degree in Architecture, when she decided to make the leap to fashion. She proceeded to graduate with her BA and MA from Central Saint Martins in London, renowned for its fashion design programs. Mary debuted her first ready-to-wear collection for Spring/Summer 2009 at London Fashion Week and garnered a good deal of attention. The rest is fashion history. 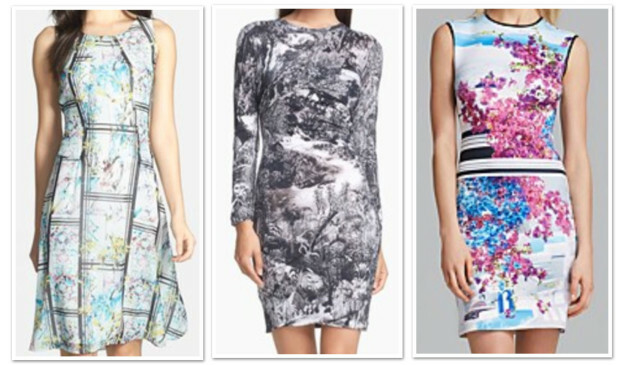 Mary Katrantzou designs are not inexpensive with dresses ranging from approximately $1,000 to $5,000. However, we found several dresses on sale, plus there are a number of pieces that start under $1,000, from jeans and sweatshirts to shoes and scarves. In addition, Mary has collaborated with Topshop on three high street collections, so there is hope for those of us on a budget that she may do another, since the capsule collections have sold out. In the meantime, we found a few less expensive designs that appear to be inspired by this oh-so-talented designer.